Some people hide family recipes from everyone, but my friends Paula and Debbie put their gran's recipes on post cards for everyone to enjoy. Paula has a wonderful store called Henry Road and they are having some wonderful deals right now... You'll want to go check it out. 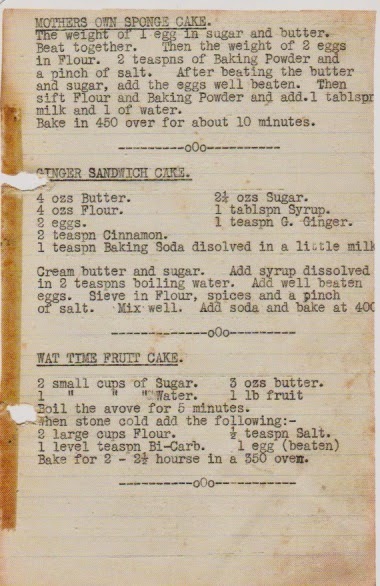 Old recipes are the best. I have a notebook just like this. The weight of an egg? Holy cow, I'd be lost. Kind of makes you want to find the de Medici family cookbook eh? I'm sure there must be some fascinating recipes in that one.